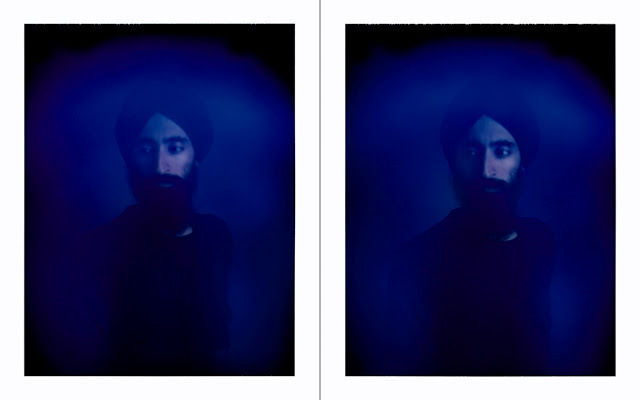 Photographer Carlo Van de Roer has been shooting portraits with the Polaroid Aura Camera. Created in the 1970's by a gentleman named Guy Coggins, the aura camera was designed to capture more that what can be seen with your human eyes. So, how exactly does this work? The subject puts his or her hands on sensors that measure electromagnetic biofeedback (note: this is the first time the term "electromagnetic biofeedback" has been used on Fstoppers...I checked).The information collected is then translated into numbers and printed out along with the polaroid image. These measurements are also used to project different colors onto the image, kind of like a mood ring. 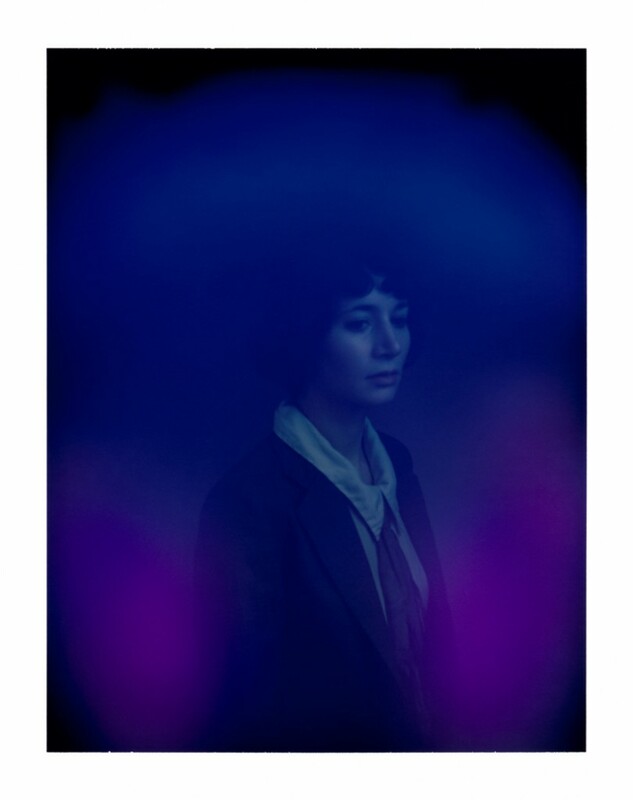 So, you'll see Miranda July below is projecting a blueish purple color. And James Frey's got red and orange tones. 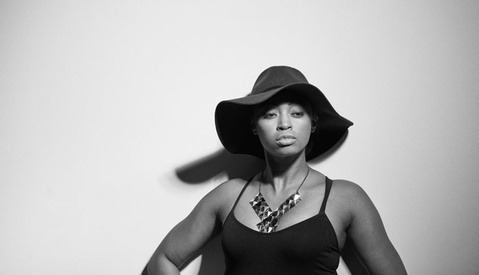 Van de Roer is calling this The Portrait Machine Project. Look below to see more of his images below, as well as a sample of what the printouts look like. "Purple! Your aura is purple!" Had to say it. What do y'all think of this? 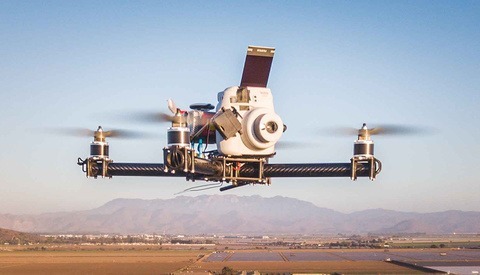 I would love to experiment with this thing. 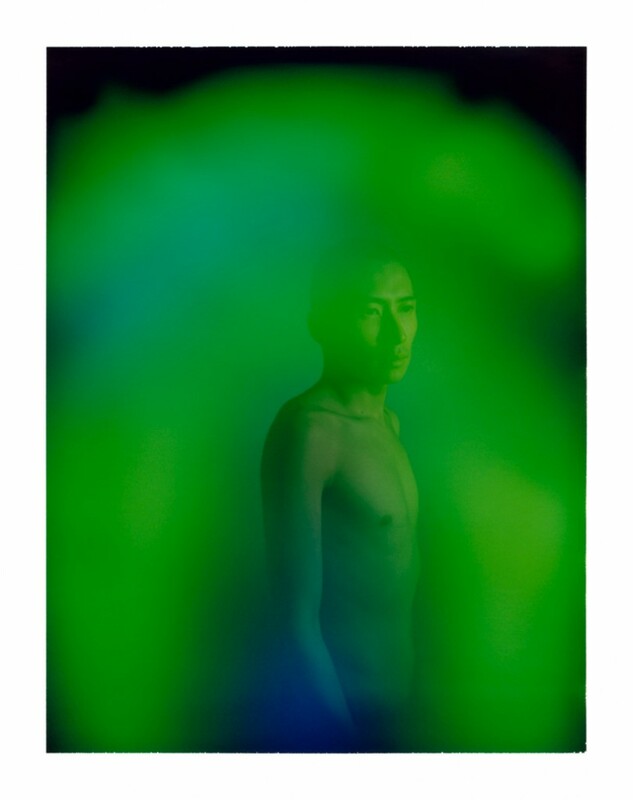 This project explores the idea that a camera can reveal an otherwise unseen insight into a subject's character and their relationship with the photographer and viewer. 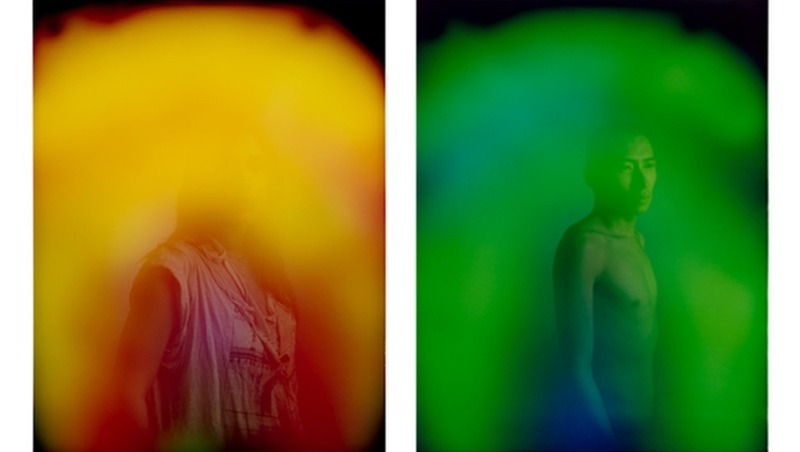 These portraits are made with a Polaroid aura camera developed in the 1970s by an American scientist in an attempt to record what a psychic might see. The subject is connected to the camera by sensors measuring electromagnetic biofeedback. 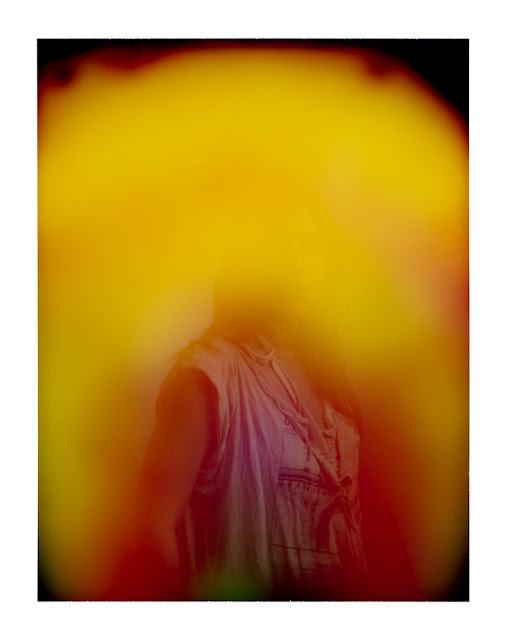 It translates these readings into information about the subject and how they are seen by the photographer and others -- suggesting the camera bypasses the control of the photographer and subject in making the portrait. The camera generates a printed description of these views of the subject which are also depicted aesthetically in the Polaroid. This printout is presented to the viewer along with each photograph in a similar manner to a caption. 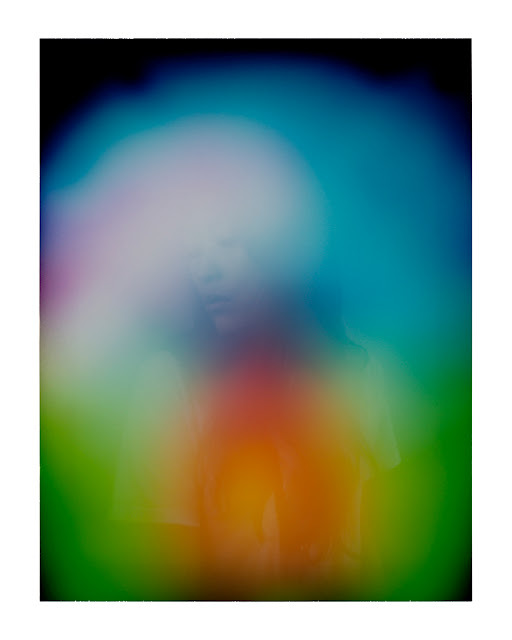 The aura camera has undertones of pseudo-scientific authority and attributes associated with a less mediated type of photography. 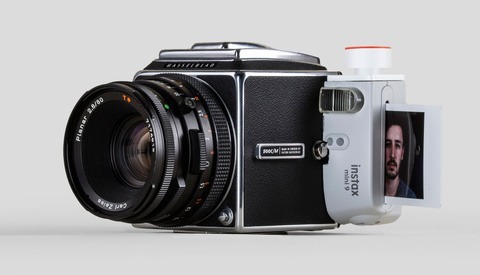 It's a modified land camera that uses instant film and has only one button, allowing the photographer little control over the mechanisms mediating the portrait making process. 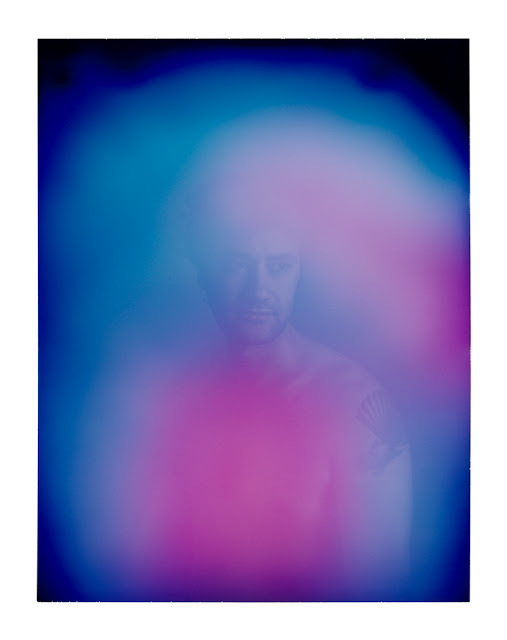 Aura photography is a relatively recent offshoot of spirit photography. 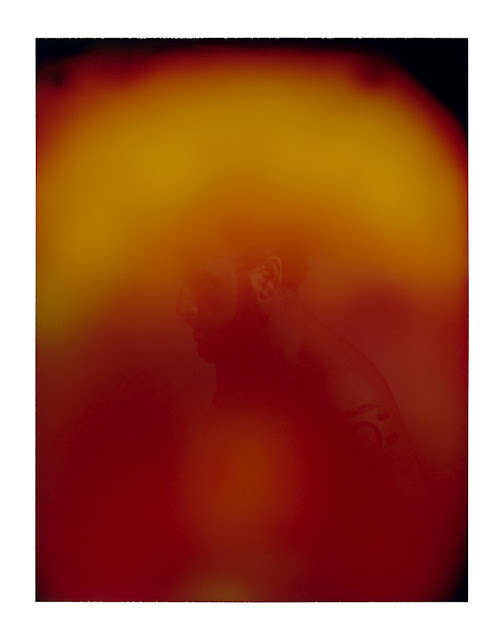 Unlike attempts to record images of ghosts, aura photography evolved from a type of spirit photography - popular around the time diagnostic imaging devices like the x-ray emerged -- which sought to objectively measure and document unseen aspects of the human body.